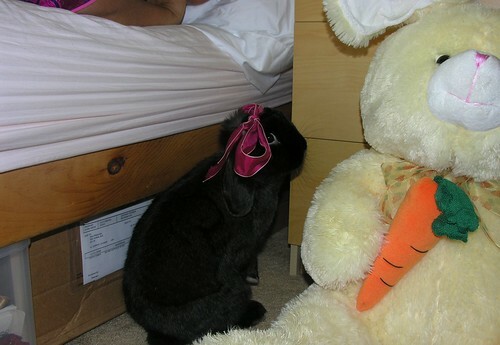 Happy Easter and Make Mine a Chocolate Bunny! For those celebrating, please encourage NOT giving real bunnies as gifts. Thousands of little rabbits each year are abandoned by summer because they were given as gifts to children. They’re real pets and need as much love and attention as dogs and cats. 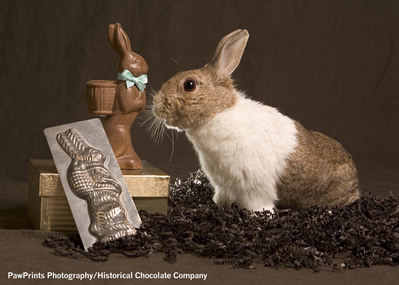 This year, if your child wants a bunny, give them a delicious chocolate bunny instead. The non-profit group MMC (Make Mine Chocolate) encourages people to buy chocolate easter rabbits instead of real bunnies. Join their Facebook page and show your support. Get out there, eat chocolate, and save a bunny rabbit. Oooh! Where are the bunny sculptures from? 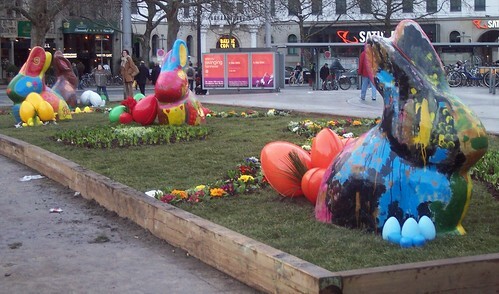 Emily, the colorful bunnies were in Hannover, Germany. I took the photos a few years ago. – They procreate a lot, and quickly! chocolate bunnies? sounds delicious.. huh. Chocolate bunnies are delicious. Påskeskum is not delicious though, it’s like weird flavored marshmallows.